Janapriya Multiple Campus was established in public participation in 1991(2048 B.S.). The campus is affiliated to Tribhuvan University and National Examination Board. Janapriya is an institution with a proud heritage, excellent programs and well experienced faculty members. The campus is non-profit organization with board objectives of supporting the development of skilled and dynamic human resources to meet the challenges of education in the 21st century in various sectors. The campus is offering Intermediate , Bachelor and Master's in different faculties. The College is also recognized with the Quality Assurance and Accreditation (QAA) certificate by the University Grant Commission. Janapriya Multiple Campus offers Ten Plus Two in Science, Management, Humanities and Education under the affiliation of National Examination Board (NEB) and B.Sc. Microbiology, B.Sc. 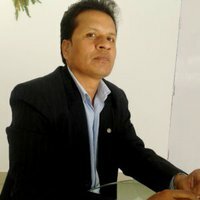 Environmental Science, Bachelor of Information Management (BIM), Bachelor of Business Administration (BBA), Bachelor of Business Stude (BBS), Bachelor of Arts (BA), and Bachelor of Education (B.Ed) in Bachelor's level and Master of Business Studies (MBS) and Masters of Arts (M.A) in English in Masters Level under the affiliation of Tribhuvan University. Janapriya Multiple Campus runs in morning and day shifts with the mission of producing highly skilled and competitive human resource through practical and research based learning. The campus is committed to quality education with its beautiful and peaceful environment in quite accessible expenses even for the students from weak economic strata. At, Janapriya Multiple Campus (JMC) most of the students come from the rural and remote areas and the surrounding districts, such as Syangja, Tanahun, Gorkha, Lamjung, Prabat, Baglung, Myagdi, Mustang and other districts. We want develop globally recognized competent human resources and innovative entrepreneurs. JMC strives to produce creative, disciplined & responsible citizens with practical knowledge and applied skills. We are committed to be a ‘Center of Excellence’ & advance towards ‘Deam University’. Thank you very much for your interest of getting information about JMC. We welcome students’ prudent decision of joining this institution where they will be going to be a part of a vibrant learning community which is well known for its high quality education and excellent student support activities in the country as well as abroad. We are proud of our students, teaching and management staffs as well as our local academicians and social activists for having created a history of both academic and extra-curricular excellence. We proved our academic excellence by complying with the standards of education specified by University Grant Commission (UGC) with the financial support of the Word Bank and achieving QAA certificate. Now we are producing globally recognized graduates. In the end, we request our stakeholders for their help and support to turn this public campus into the deemed university. Candidates must have completed SEE or equivalent. Candidates must have completed 10+2 or equivalent with at least D+ Grade in all subjects from a recognized board. Candidates must have completed 10+2 or equivalent with at least 'C’ in all the subjects of 11 and 12 or a minimum score of second division marks. Students must pass the entrance test of TU (CMAT) and interview conducted by the college. Students must have completed 10+2 or equivalent with at least 'C’ in all the subjects of 11 and 12 or a minimum score of second division marks in 10+2. Students must pass the entrance examination conducted by Tribhuvan University. Janapriya Multiple Campus offers attractive scholarships for needy and deserving students.